Intelligent social media content not only helps to build a positive impression for any business or organisation but also increases the reach of social media pages to a wider audience, assisting to nurture potential new leads. 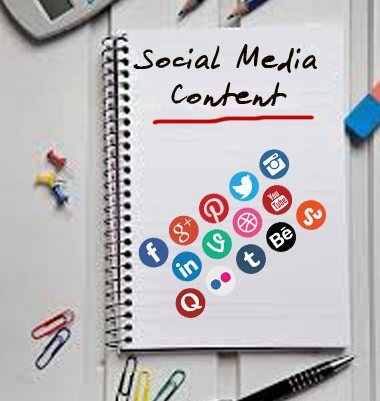 When it comes to social media content writing, in depth knowledge of how each individual platform works is essential in ensuring that the largest number of individuals possible is reached and that this is comprised of the desired demographic of potential clients or users. Social media is a vital aspect of modern technology to utilise as it offers new channels of potential communication as well as building stronger relationships with current or potential clients. In essence, smart social media content leads to not only increased leads, but a stronger, more professional image as well as a vastly increased capacity for networking. Our content writers work in unison with our social media experts to ensure that content is both fit for purpose and maximises the marketing potential that any given social media platform has to offer. Whether you are looking for an entire social media campaign or just want to work on building a stronger social media presence Manzeera Solutions guarantee that we can assist you on the next step of your business journey.